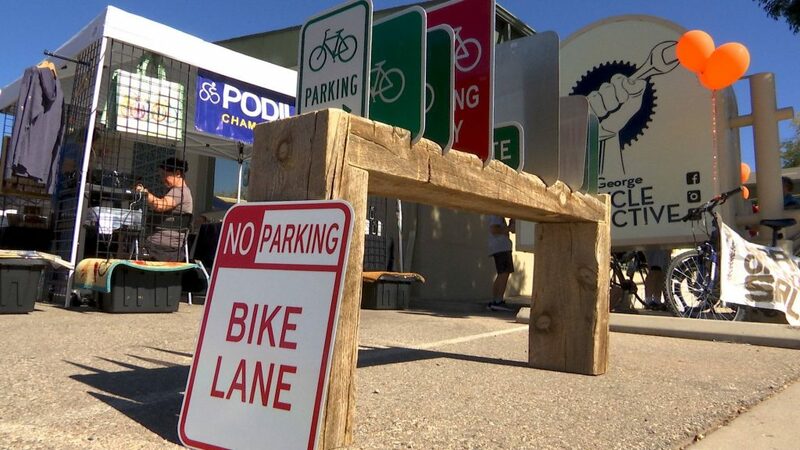 ST. GEORGE — Organizers of the St. George Bicycle Collective welcomed the public to their new location on St. George Boulevard Saturday afternoon, marking a major milestone towards engaging the Southern Utah community in the joys of bicycling. 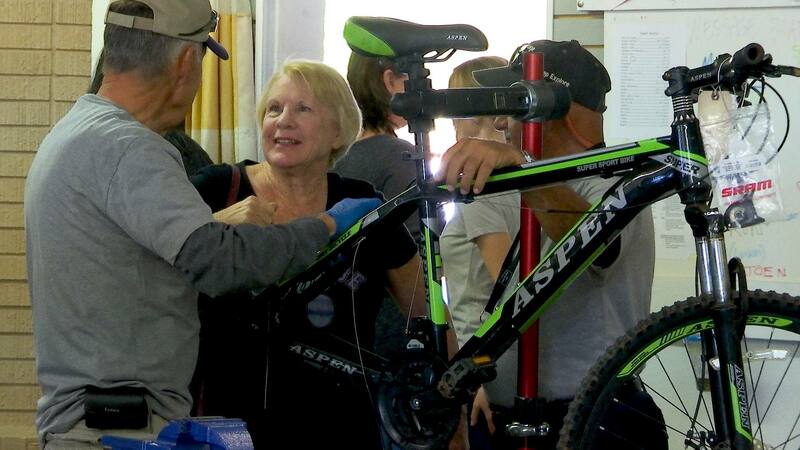 The nonprofit bike shop works to provide affordable, refurbished bicycles to kids and low-income households through community donations. 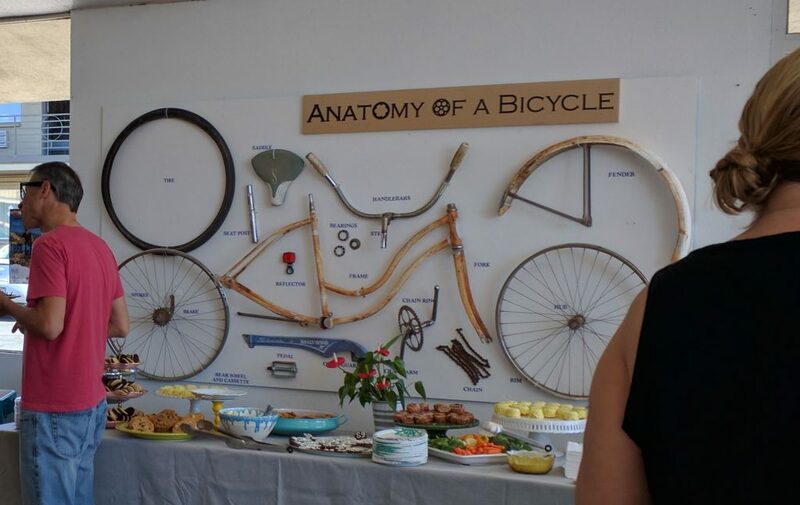 Bicycle Collective board member Danielle Larkin started the program two years ago as the “Bike Kitchen” in an effort to secure transportation for homeless individuals. 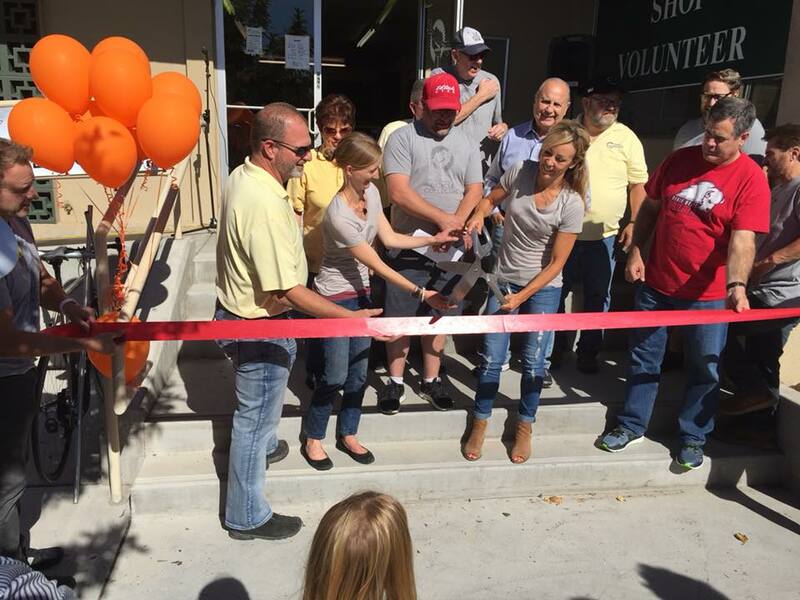 Larkin and several other volunteers ran the program out of a temporary space in the city’s industrial park before moving to the new location at 70 W. St. George Blvd. “This is really amazing for us because it’s in the center of town. 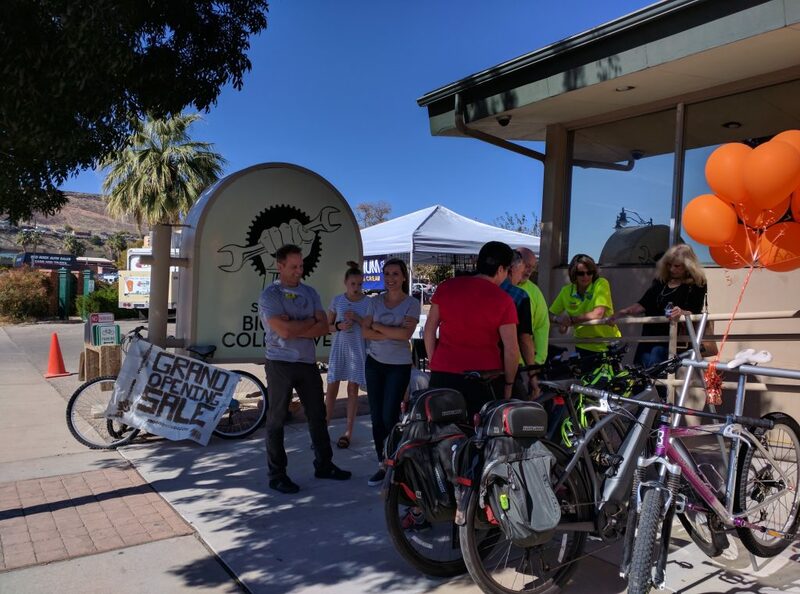 People drive by, walk by, cycle by and they see that we’re here,” St. George Bicycle Collective Director Judith Rognli said. 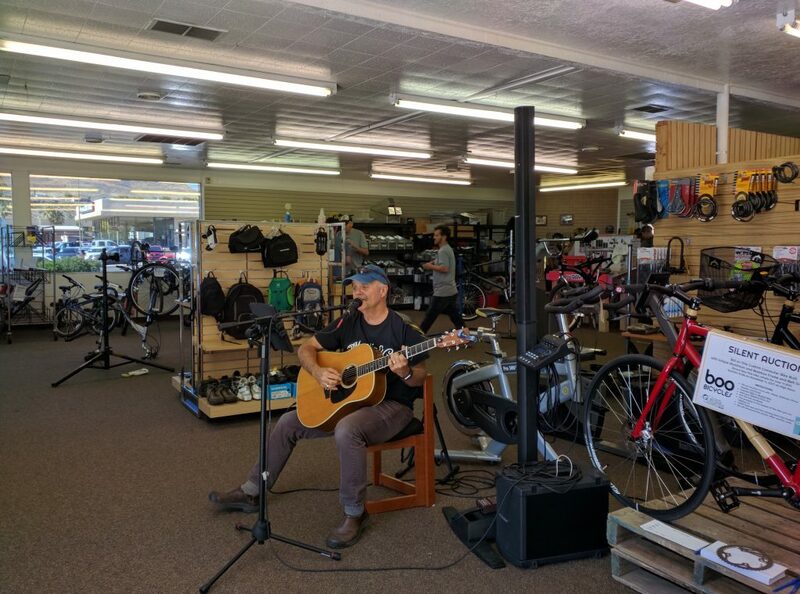 The collective’s grand opening kicked off with a ribbon-cutting ceremony, after which guests entered to tour the completed bike shop while enjoying food and live music by John Van Wagoner. The shop is complete with a large inventory of bikes and related gear and has several workshop benches. 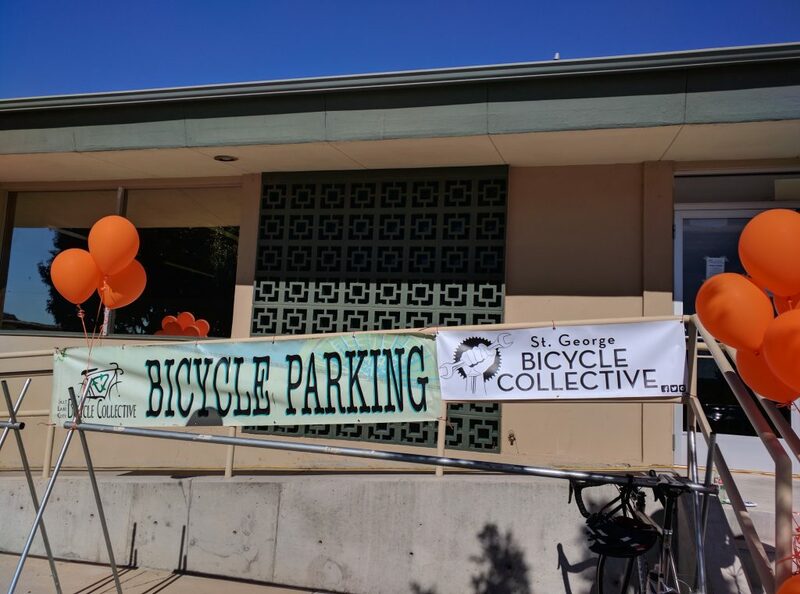 Rognli said the collective’s new centralized location will help garner greater awareness of the organization and its goal of promoting cycling as an effective and fun means of transportation. In the months leading to its opening, many people have stopped by expressing interest and curiosity. 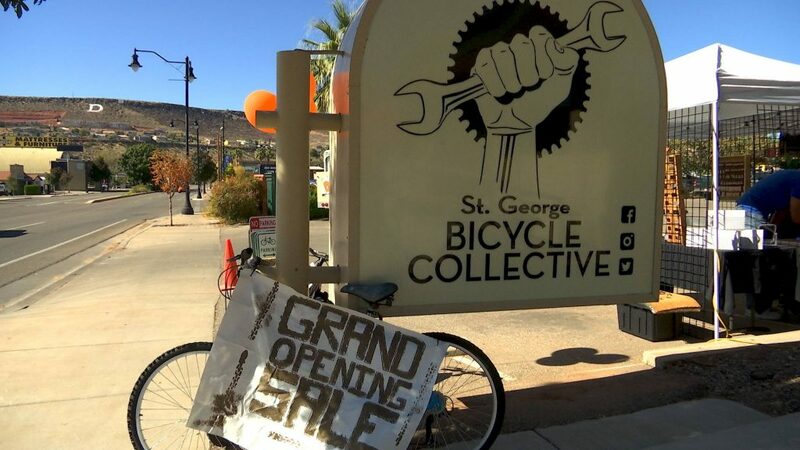 The city of St. George worked actively with the Bicycle Collective Board to secure the new space for the nonprofit, offering it virtually lease-free for a year, pending any decision by the city to sell the property. An active transportation plan adopted by the city two years ago called for a community bike shop to be established. The collective works on nearly all-volunteer labor. About 15 people volunteer actively every week with about 40 additional people volunteering semi-regularly. One of the workbenches at the shop is referred to as “the Ray bench,” named after Ray Olson, one of the collective’s most active volunteers. In addition to volunteerism, anyone in the community can help the collective by donating old bikes or gear. 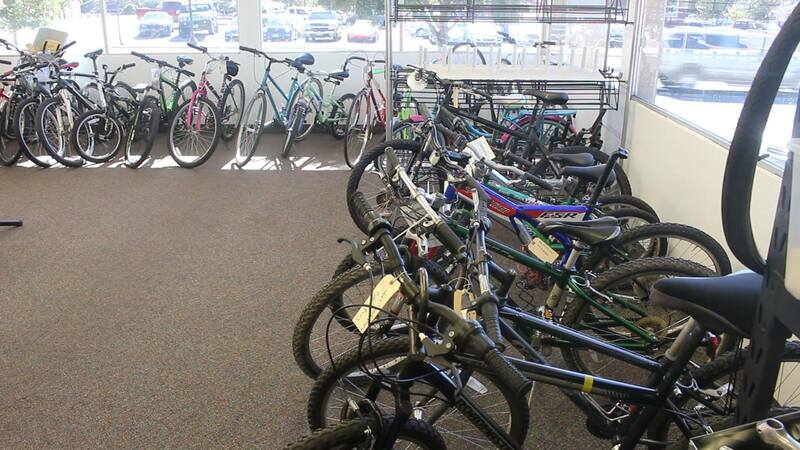 The shop is stocked with commuter bikes, road bikes, vintage bikes, mountain bikes and kids’ bikes, in addition to a variety of cycling gear. 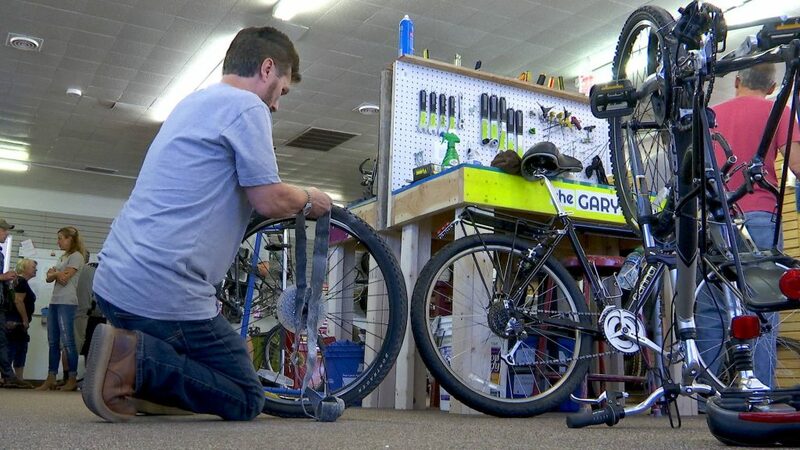 The collective also offers bicycle repair services, and people can earn bikes instead of paying for them by helping with maintenance and repair work at the shop. St. George Bicycle Collective Facebook page.